Box Dimensions (LxWxH) 17.2 x 13.2 x 3.8"
4MIX 4-Channel Controller with Audio Interface Built-in is rated 3.0 out of 5 by 1. How big is the equipment? need to buy some cable or those who need it already comes with it? Do this 4-channel USB audio interface have 24-bit converters? 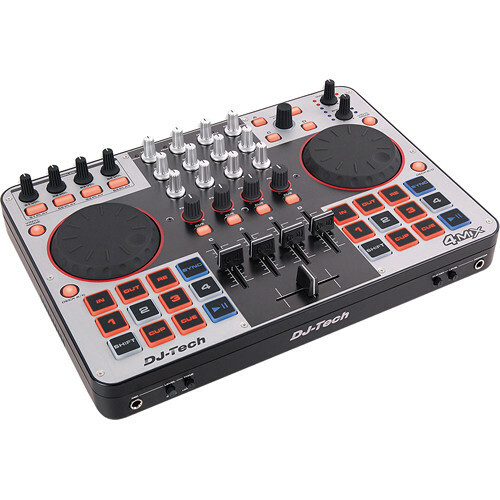 Can I record my mixes with this controller?Enter an answer to this question.